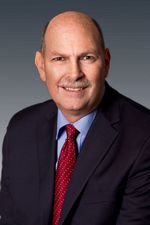 Roger is a seasoned finance and accounting professional with 8 years of public accounting and over 25 years of private company experience in a broad range of industries including manufacturing, distribution, technology (software, hardware, and telecom), construction, and services. He has worked with companies of all sizes from startup to multinational Fortune 500 in a number of roles, such as Controller, VP Finance, Treasurer, and CFO. Over the years, he has developed a keen ability to relate to colleagues on every level. 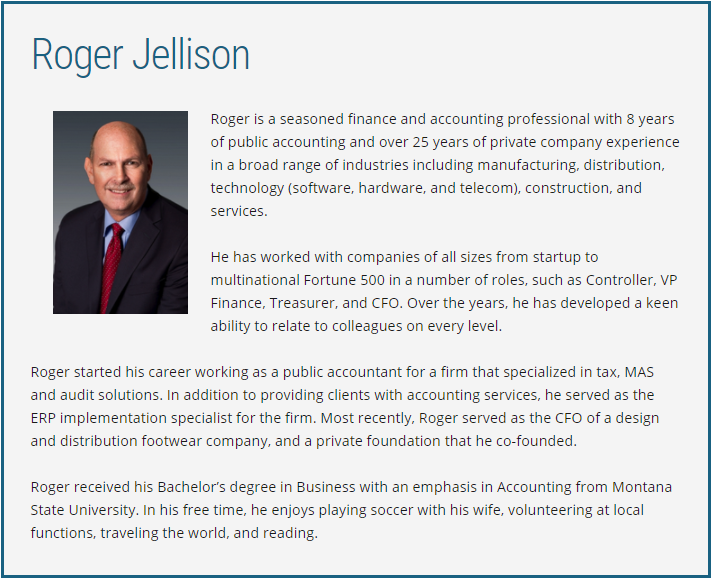 Roger started his career working as a public accountant for a firm that specialized in tax, MAS and audit solutions. In addition to providing clients with accounting services, he served as the ERP implementation specialist for the firm. Most recently, Roger served as the CFO of a design and distribution footwear company, and a private foundation that he co-founded. Roger received his Bachelor’s degree in Business with an emphasis in Accounting from Montana State University. In his free time, he enjoys playing soccer with his wife, volunteering at local functions, traveling the world, and reading.